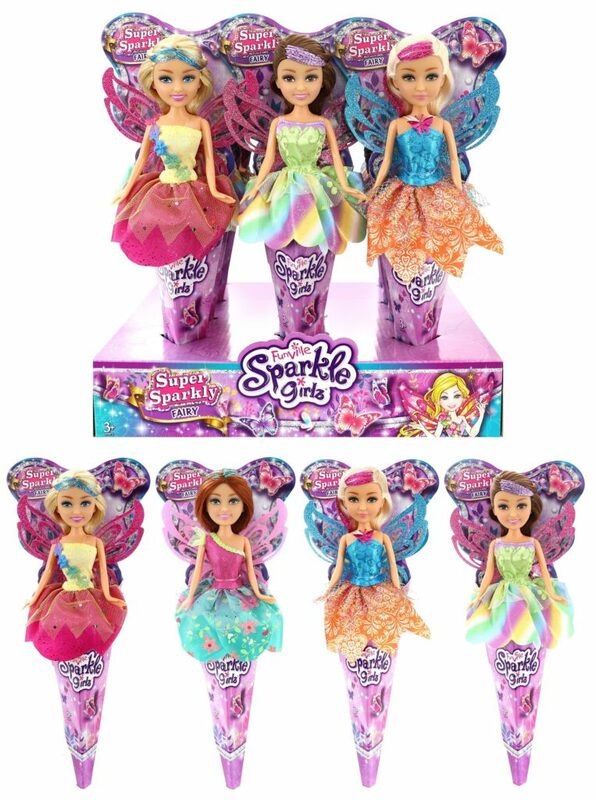 LOS ANGELES, Jan. 24, 2019 /PRNewswire/ — Leading international toy and consumer products company, ZURU, is excited to announce the company’s acquisition of Sparkle Girlz, the 10-year old doll brand developed by Danuta Saville as Funville. The Sparkle Girlz brand vision was to create a stronger presence of magic, imagination and sparkle in the doll category. The brand features an extensive range of products that incorporate fun, fantasy and fashion into a variety of dolls. Sparkle Girlz has seen strong brand growth since its beginnings, now distributing its products globally. Toy and consumer products company ZURU (https://zuru.com/) acquired Sparkle Girlz; the brand features an extensive range of products that incorporate fun, fantasy and fashion into a variety of dolls. The integration of Sparkle Girlz into ZURU does not only boast a win for ZURU, but Funville also. The extensive product range includes iconic themed dolls such as fairies and princesses, hair styling unicorns, baby dolls, interactive play sets, castles, surprise collectables and more. The brand also works to integrate environmentally friendly packaging into more of its products. The brand is particularly proud of the exemplary cone packaging design in one of its doll lines, which removed the presence of single use plastic. The innovative design has been globally recognized as a pioneering example of movement towards sustainable packaging. The dolls category is valued at USD$1.8 Billion and has grown 13.1% since 2017. Play patterns surrounding dolls show no sign of slowing down as they continue to hold a key role in instilling creativity, empathy and compassion in children. Sparkle Girlz have a stable presence in all sub-categories providing huge opportunities for ZURU to continue developing the brand in partnership with Danuta. Masters of the Galaxy Episode 3 - Introducing Joshua Meade!